Part II of the 1963 Federal Constitution of Malaysia protects the right to life and certain other fundamental human rights (referred to as "liberties"). According to Article 5(1), “No person shall be deprived of his life or liberty save in accordance with law.” Torture or other forms of inhumane treatment are not, however, prohibited in the Malaysian Constitution. Part X, which contains provisions on public services, notes the existence of the police and establishes the Police Force Commission, which is responsible for the “exercise of disciplinary control” over members of the police.Arts. 132(1)(d) and 140, 1963 Federal Constitution of Malaysia. The police in Malaysia are regulated primarily by the 1967 Police Act, though their use of force is specifically governed by the 1935 Criminal Procedure Code (as amended). Chapter IV of the Criminal Procedure Code governs arrest of a suspect. Section 15(2) provides that if a person forcibly resists or attempts to evade an arrest the officer may use "all means necessary" to effect the arrest. Subsection 3 states that: "Nothing in this section gives a right to cause the death of a person who is not accused of an offence punishable with death or with imprisonment for life.” Once arrested, the person "shall not be subjected to more restraint than is necessary to prevent his escape".S. 19(1), 1935 Criminal Procedure Code (as amended). any police officer, any member of the armed forces or any other person acting in aid of a police officer or member of the armed forces may do all things necessary for dispersing the persons so continuing assembled and for apprehending them or any of them, and, if any person makes resistance, may use such force as is reasonably necessary for overcoming resistance and shall not be liable in any criminal or civil proceedings for having by the use of such force caused harm or death to any person or damage to any property. The rules governing use of firearms are not contained in legislation but, seemingly, in the Inspector General of Police’s standing orders on the use of arms and firearms (which is not a public document). In 2014, the Inspector General of Police told Human Rights Watch that these orders permitted use of a firearm for "self-protection" if “police are threatened with death [and] there is no time to use a less-lethal weapon." Police oversight is currently exercised by the Police Force Commission and the Enforcement Agency Integrity Commission (EAIC). On 21 September 2018, however, Malaysia's Prime Minister, Tun Dr. Mahathir Mohamad, announced that an independent body would be established to investigate complaints against the police, to be called the Independent Police Complaints and Misconduct Commission (IPCMC). This body would replace the ineffective EAIC, which could only recommend that certain action be taken in response to unlawful use of police force. This new body was one of the recommendations of the 2005 Report of the Royal Commission to Enhance the Operation and Management of the Royal Malaysia Police (“the Dziaddin Report”). In addition, the Malaysian Human Rights Commission (SUHAKAM: Suruhanjaya Hak Asasi Malaysia) has the authority to launch investigations in relation to human rights violations. elements pertaining to the use of force, treatment and strict adherence to human rights standards have been incorporated within the training of law enforcement officials in the relevant SOPs. The Inspector General of Police had issued an SOP to this end including on Security Offences (Special Measures) Act 2012 and the facilitation of peaceful assemblies under the PAA. The United Nations country team, however, noted "that no significant shift had been detected within the police and other law enforcement agencies with regard to upholding human rights". In addition, the National Human Rights Commission, SUHAKAM, stated that "around 650 deaths in prisons, immigration and police detention centres were recorded from 2015 to 2016". It recommended the placement of a medical officer at every detention centre. There is no regional human rights court with jurisdiction to review police use of force in Malaysia. 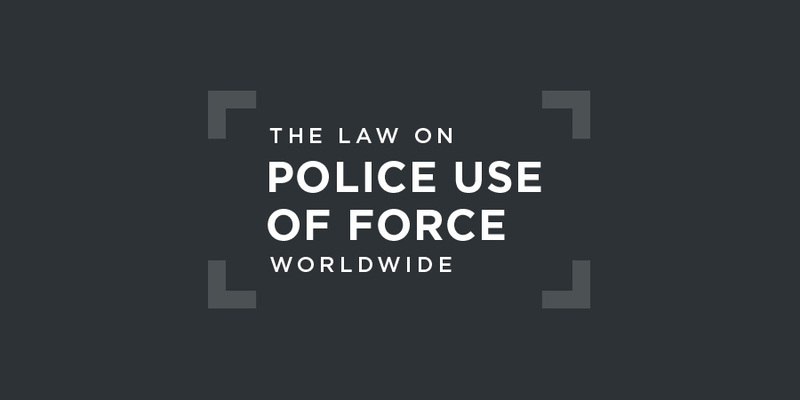 There is little evidence of police officers being held to account for excessive or indiscriminate use of force under domestic law.